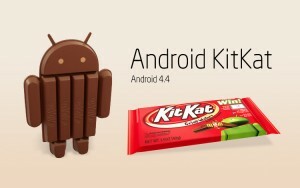 Have you been wondering what will happens when you device updates to Android 4.4 KitKat? Well, here there are some of the main changes you will experience with the new Android, enjoy! The main interface of your mobile will become transparent. And maybe not only the navigation and status bar and the white icons. There is a new API that allows you to choose this transparent look for several applications, unifying thus its look. Related also with Android 4.4 KitKat interface, there is now the possibility to use the full screen when running some application, without status or navigation bars visible on the screen. Another big change is KitKat performance. The designers have worked on the high performance of this version with low-end devices and the result is impressive. Android 4.4 KitKat runs perfectly fine on devices with just 512 MB of RAM, thanks to the improved memory management. The result is that your device is going to run faster and smoother, and the multitasking work will also improve. Printing is going to be easier also. Cloud printing is now part of Android 4.4 KitKat, so you can print directly from you phone or tablet to any printer connected to Google Cloud Print. The dialer is smarter than in previous versions. A nice new feature that this new Android version includes is the automatic search in Google Maps of local telephone numbers when you have an unknown incoming call. If the number corresponds to a local business, you will know it. The numbers of the people you talk more often will be prioritized, so the dialing will be quicker. Bluetooth includes two new profiles: HID over GAT (to link with mice, joysticks, and keyboard) and Bluetooth MAP (to exchange messages with a close device). So, your Bluetooth is really going to be better. These are just a few of the key things that Android 4.4 KitKat is going to improve. You can have more information here.